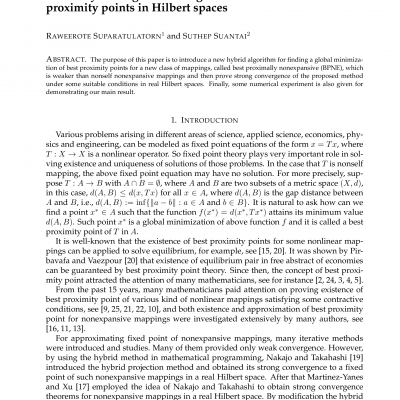 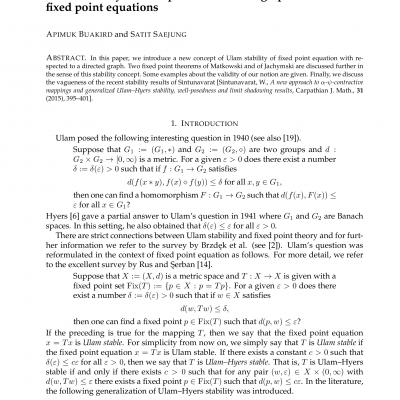 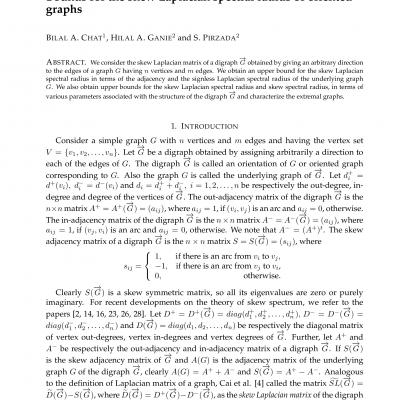 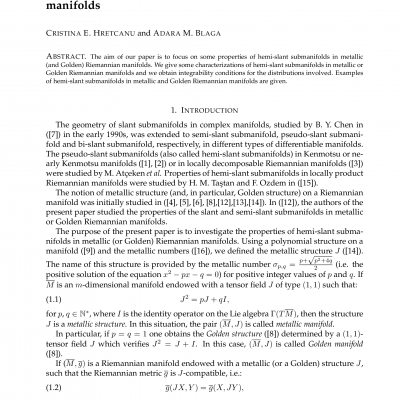 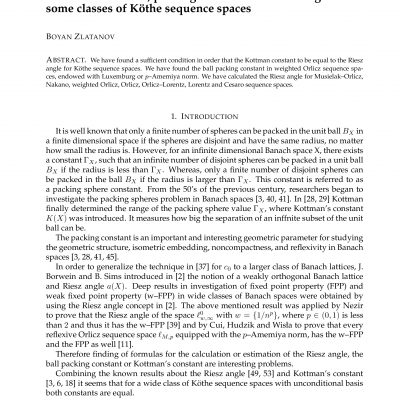 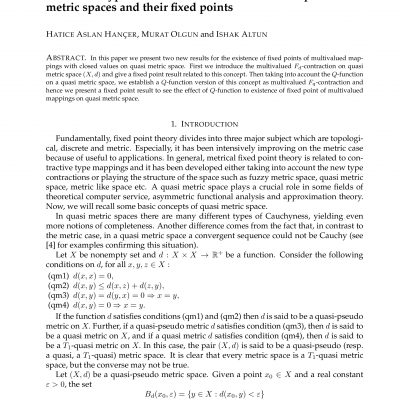 In this paper we study some approximation properties of a sequence of positive linear operators defined by means of the powered Baskakov basis. 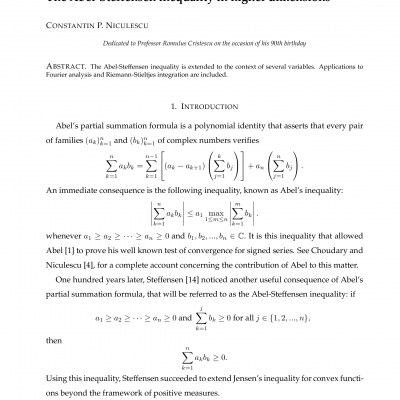 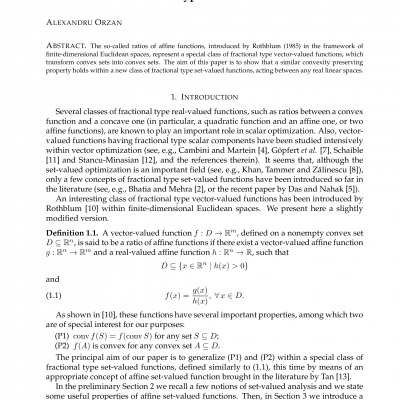 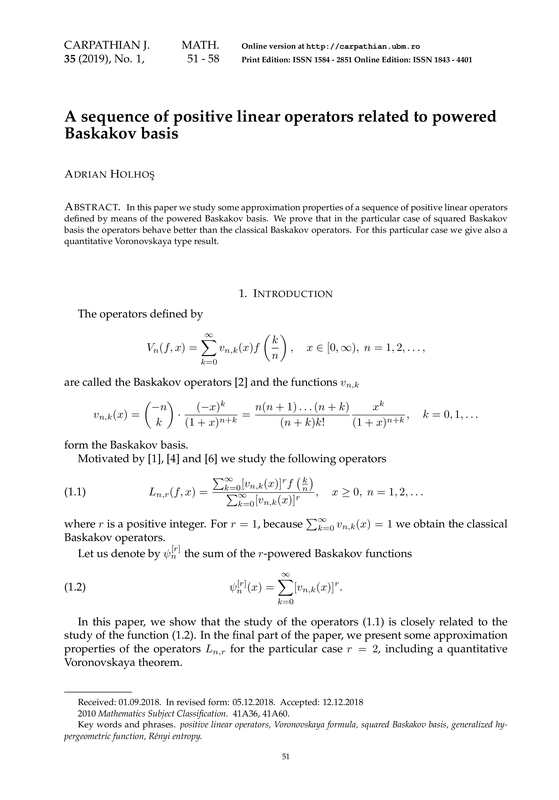 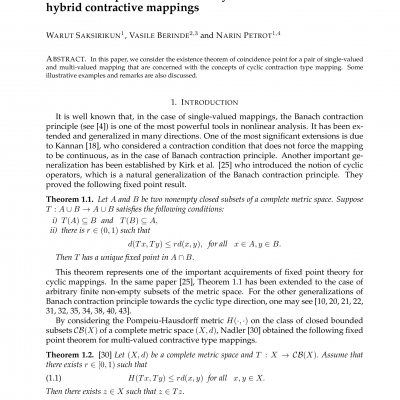 We prove that in the particular case of squared Baskakov basis the operators behave better than the classical Baskakov operators. 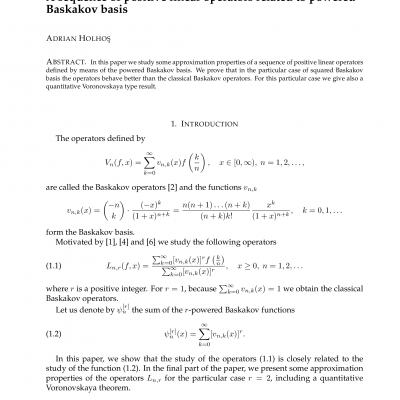 For this particular case we give also a quantitative Voronovskaya type result.